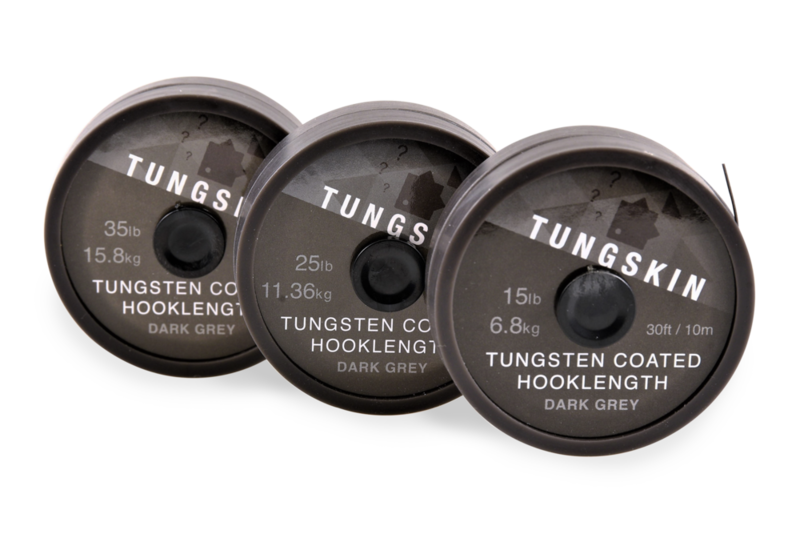 An industry first upon its original release, the Tungskin is an incredibly heavy hooklink material – so, if that’s what you seek, look no further. It is created from true 100% Dyneema, a fibre normally reserved for the medical industry. 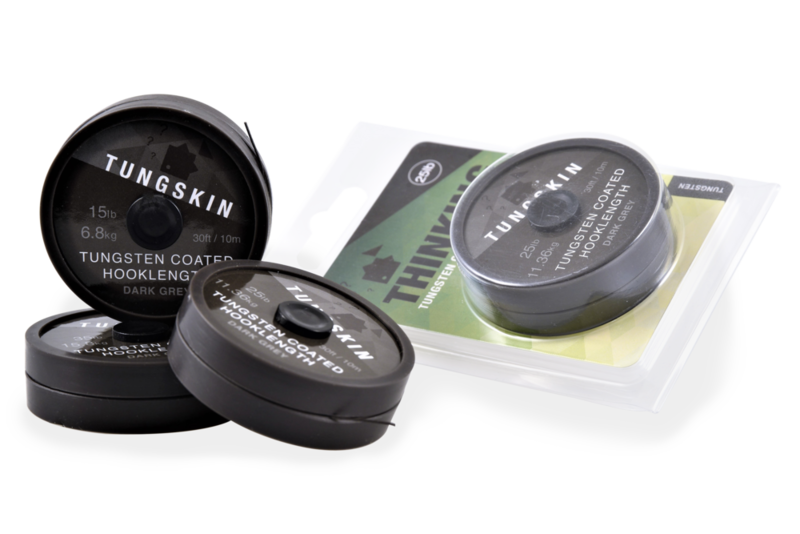 The coating has only previously been used by teams within F1 and members of the NATO forces. Apparently 30% of the overall weight of the finished product is actually tungsten. It has a very supple feel about it, with the outer coating remaining strong yet easy to strip back when required. Both the outer and inner braided core are a neutral, dark grey colour and it is supplied on 10m spools in a variety of breaking strains, with 15, 25 and 35lb available.